Welcome home to 526 Hunting Hills. 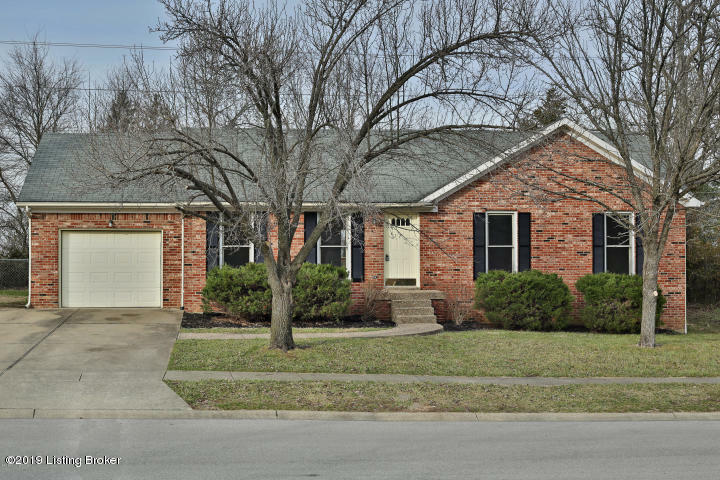 Conveniently located between Frankfort and Louisville you will fall in love with this 3 bedroom, 2 bath home. Sellers just installed gorgeous dark hardwood laminate flooring in the great room and hall. Huge great room is perfect for entertaining. Notice the trendy ''cloffice'' in hallway the sellers designed. How awesome is that for those needing a desk for work or studies. The deck has been updated and newly stained. Need storage? Check out the built in storage racks in garage. This jewel will not last long so call and schedule your appointment today.